Few know the underground secrets of the Red Hills. As delicate as these resources are, that's a good thing. Fragile refuges in a world of dark, these caves harbor delicate wildlife, special cultural records and ancient art. But some dedicated spelunkers and wildlife biologists investigate these secrets. By better understanding the biological components as well as the structural elements, good conservation of this rare Kansas habitat and its features might endure. Of the state's 800 plus caves known, over half occur in the Red Hills. More accurately, they are in a portion of the Red Hills called the Gyp Hills. Named for the gypsum layer (Blaine Formation) the Gyp Hills are primarily identified with the western half of Barber County and the south-eastern portion of Comanche County. Composed of calcium sulfate, this layer dissolves and over time exposes many cracks, crevices and caves--some big enough for adventure. All of this is on private land. This has been beneficial in preserving these precious resources as they are hard to get to and require landowner permission. Landowners have been gracious in permitting researchers and students some access as they appreciate their special stewardship responsibilities as well as understanding the cool plants and animals occupying their ranches. Come along for a special trip and exposure to some of the best kept secret treasures of Kansas. Note: Vids may not play on Iphones. They are supposed to take MP4 format but may not for some reason. There shouldn't be any issue playing on a PC or MAC. young and old for over four decades of the amazing plants and animals in and around these caves. 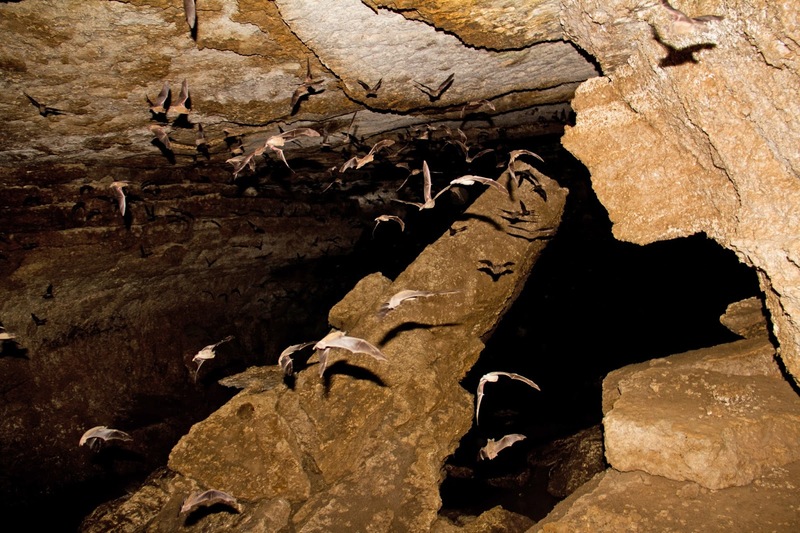 As he investigates Gentry Cave, hundreds of Cave Myotis Bats swirl about him. learning about Red Hills caves. known harbinger of ancient cave pictographs in the state. deep space of Merihew Cave. Many of these caves harbor bats. Red Hills caves is the "Devil's Backbone"
Many thanks to the ranchers who practice stewardship of the unique caves of the Red Hills. Thanks also go to folks like Stan Roth and other teachers and scientists who have taught hundreds of kids as well as many adults of the values of these natural resources. 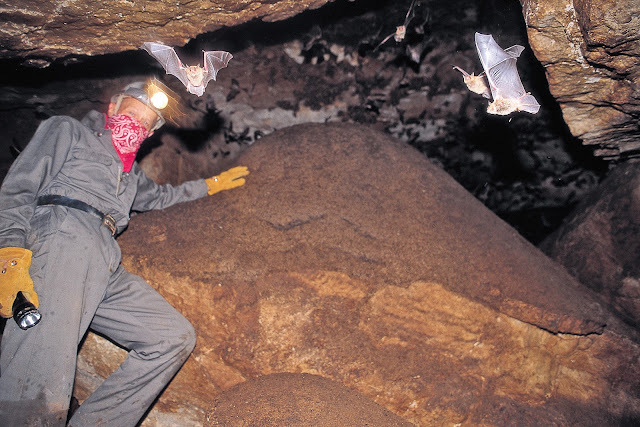 Special thanks go to the Kansas Speleological Society whose members have spent many hours and resources in mapping many of these caves as well as providing valuable information contributing to their conservation.